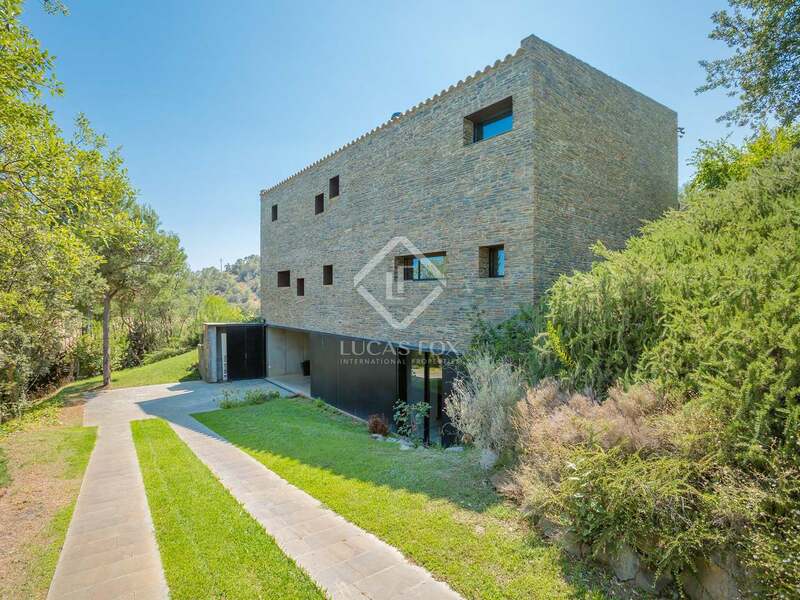 Unique, contemporary design 5-bedroom house in an upmarket residential area just a few kilometres from Llafranc, Calella de Palafrugell and some of the best beaches of the Costa Brava. 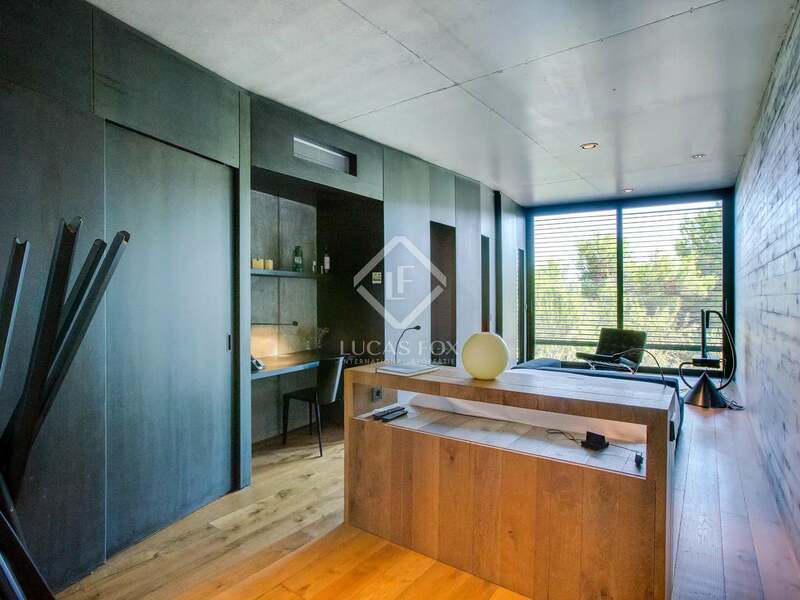 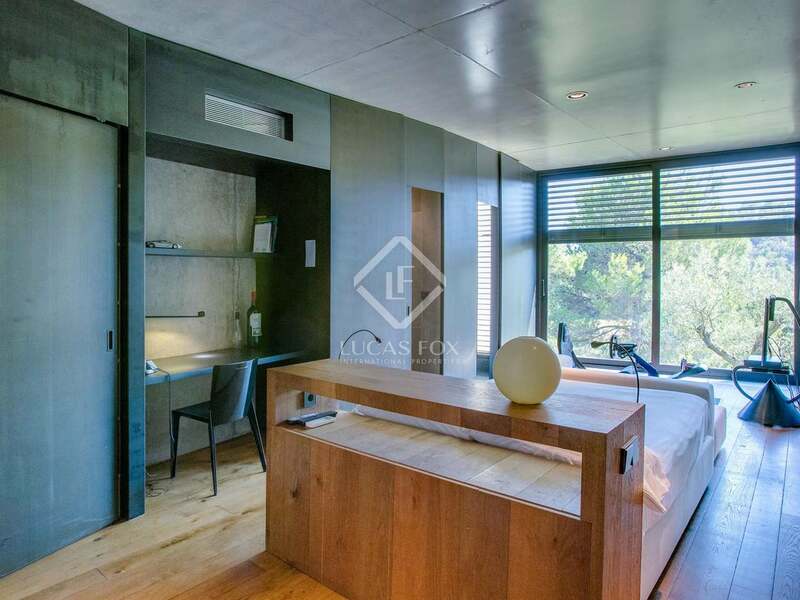 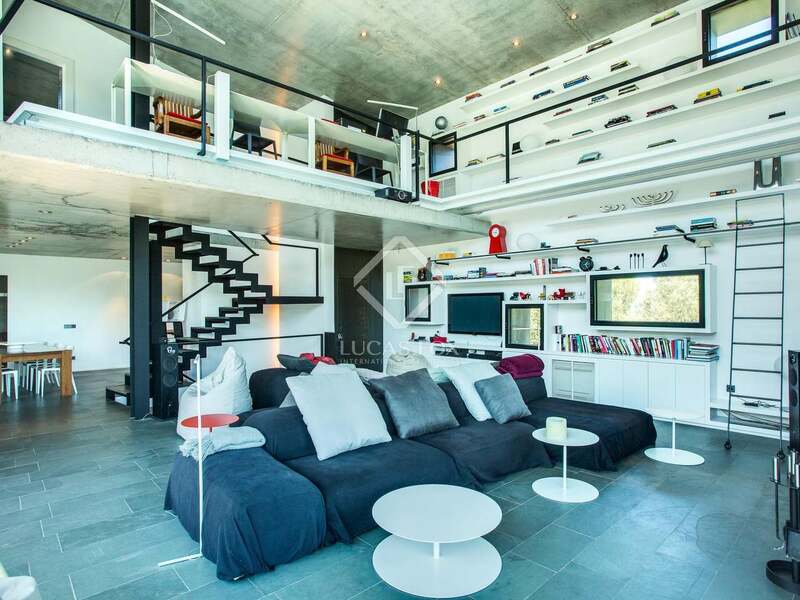 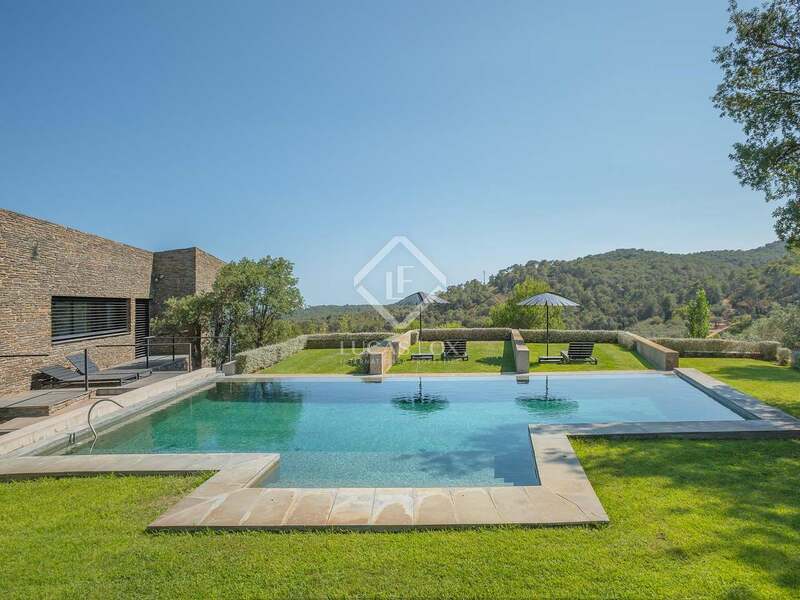 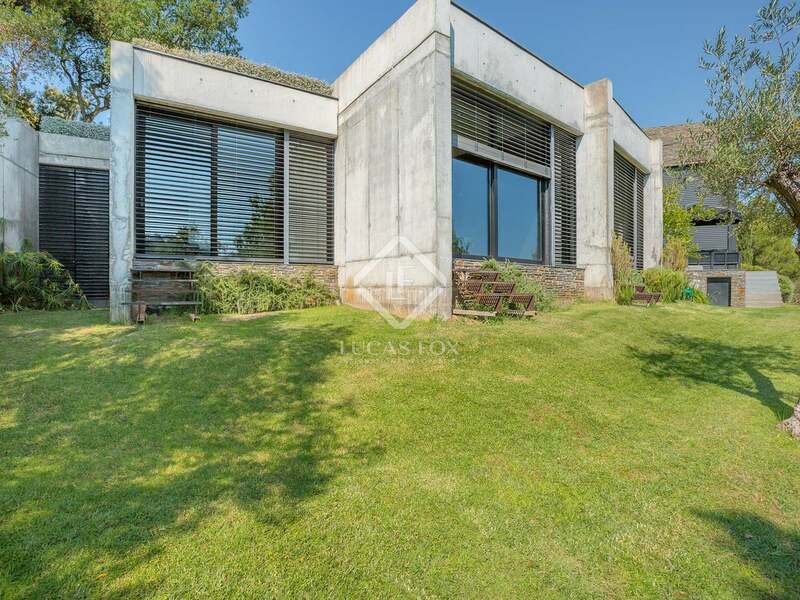 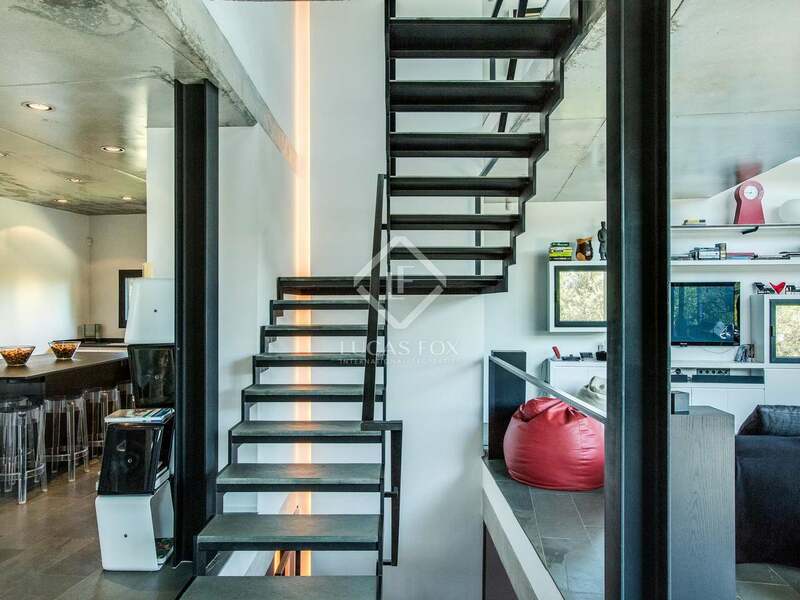 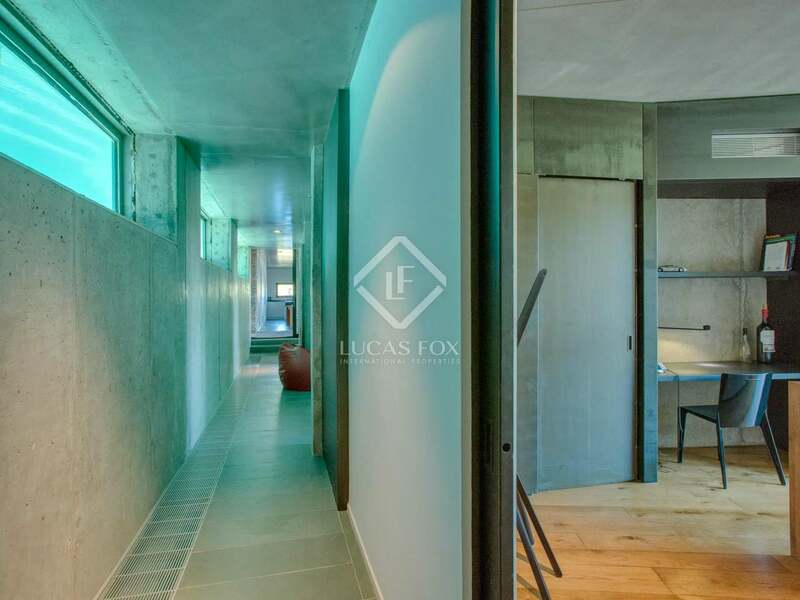 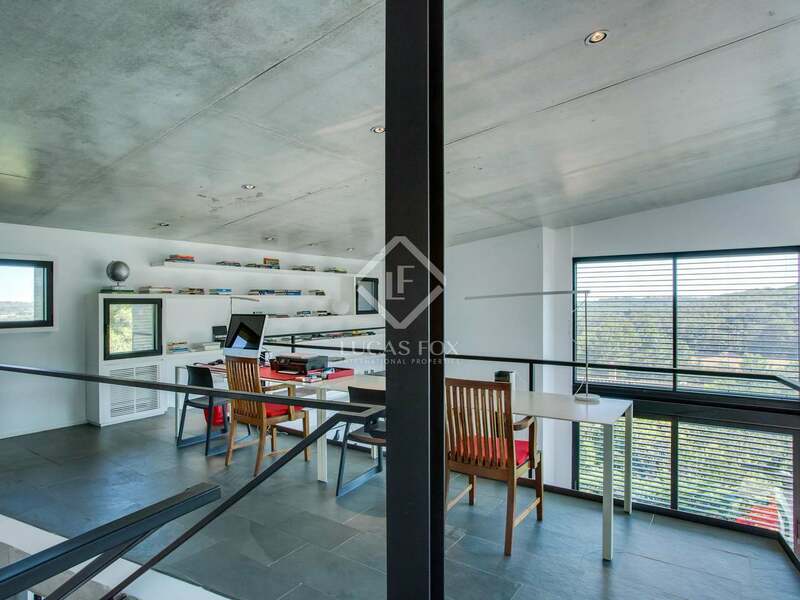 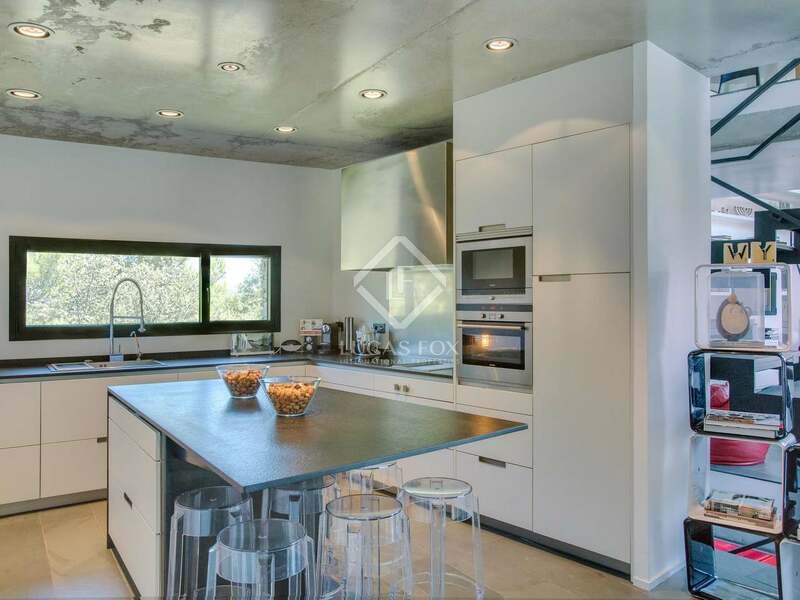 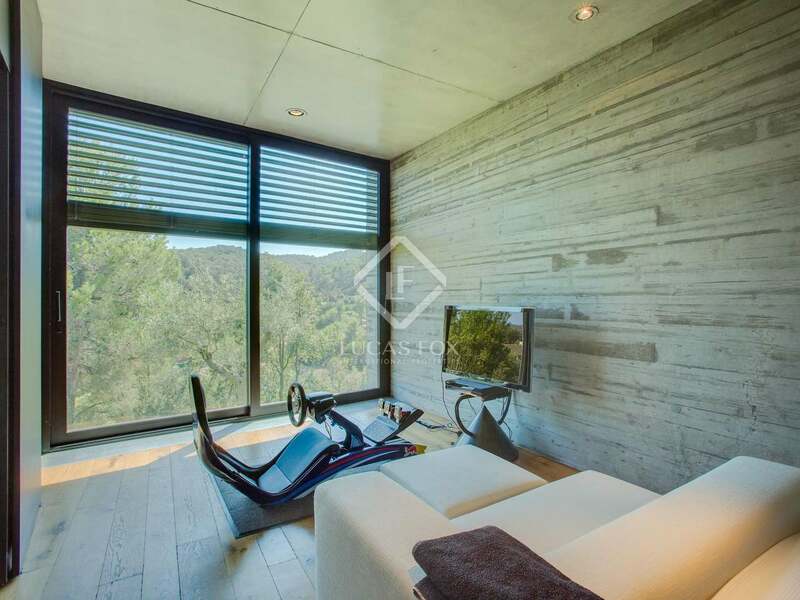 Built in 2009, this unique modern villa enjoys a wonderful location in an affluent area of Baix Empordà, just a few minutes from the beautiful town of Calella de Palafrugell with its picturesque beach and amenities. 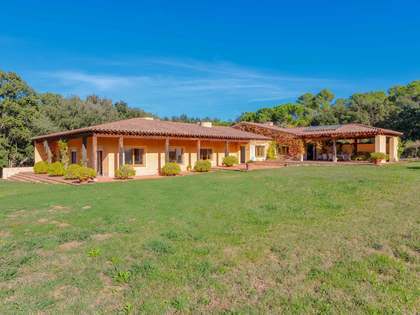 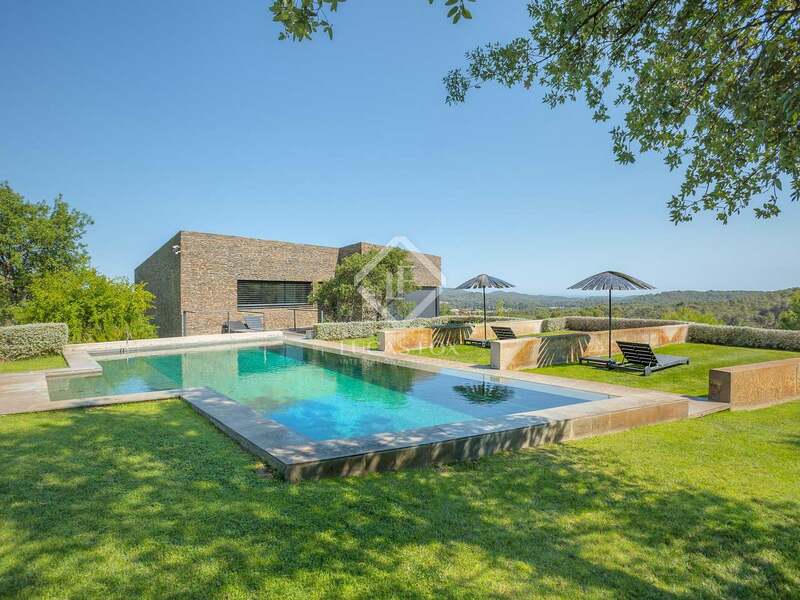 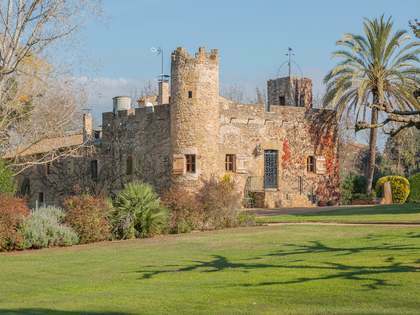 Located on the edge of the Gavarres natural park, the property boasts panoramic views over the Empordà countryside with the sea in the distance. 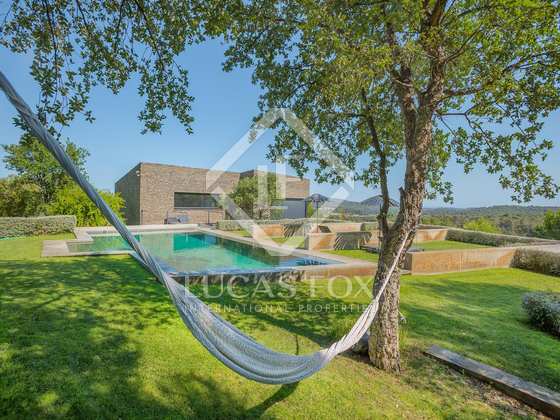 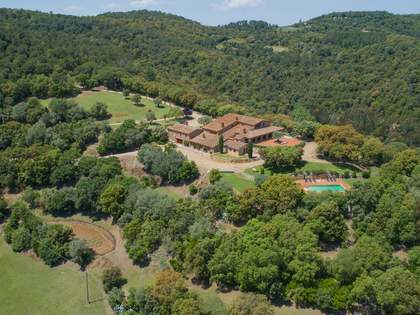 On a plot of over 2,600 m² the property offers a large private garden with lawn areas, fruit trees, a private well for irrigation and a lovely swimming pool in the upper part of the garden. The villa has been designed with a unique combination of modern and rustic elements such as the natural stone façade and open plan interiors to create a highly exclusive residence that is both contemporary and blends in well with the natural surroundings. 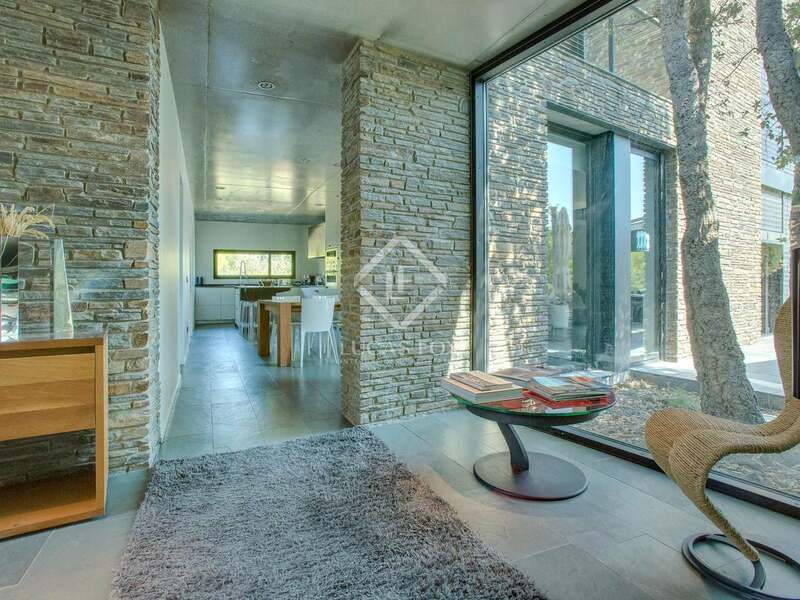 On the ground floor we find an entrance hall with 4 en-suite guest bedrooms to the right and a fabulous open plan kitchen to the left, next to the main living room with double height ceiling. 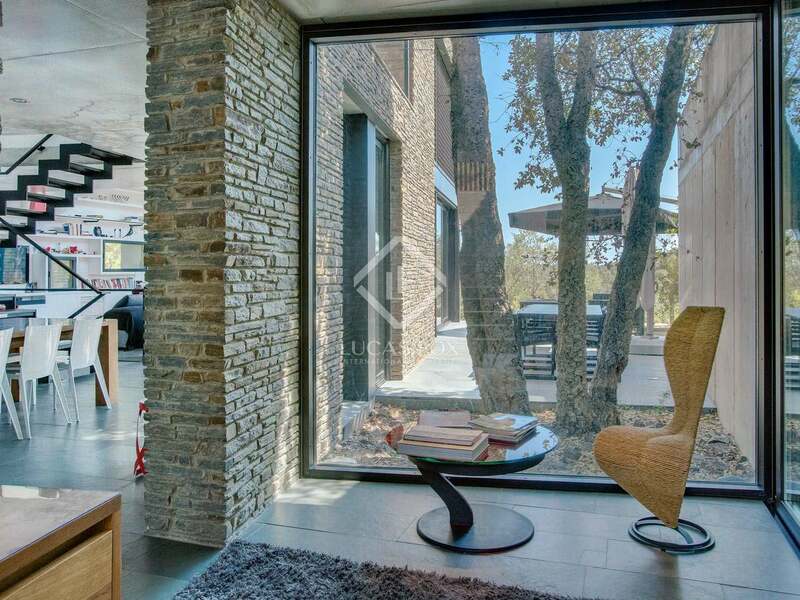 The living room has a fireplace and enormous floor-to-ceiling windows which take full advantage of the beautiful views and flood the space with natural light. 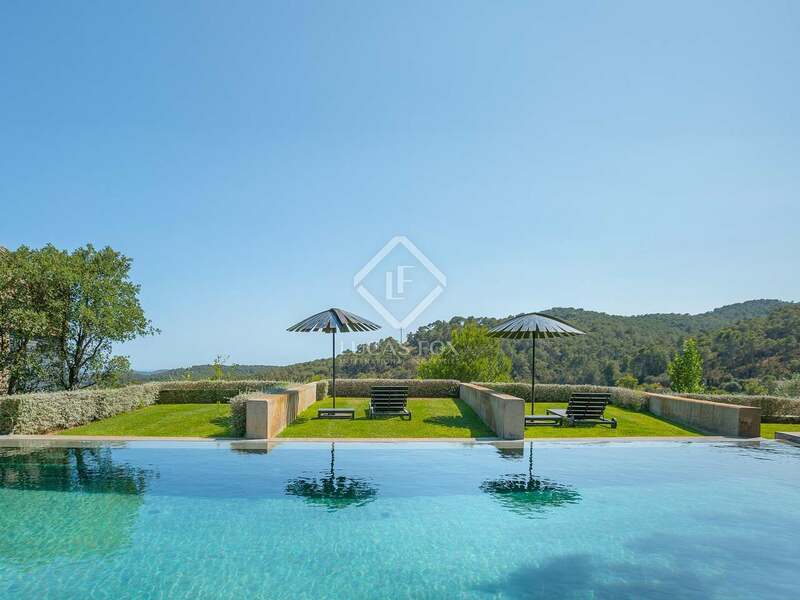 All areas of the ground floor enjoy direct access to the garden and pool. 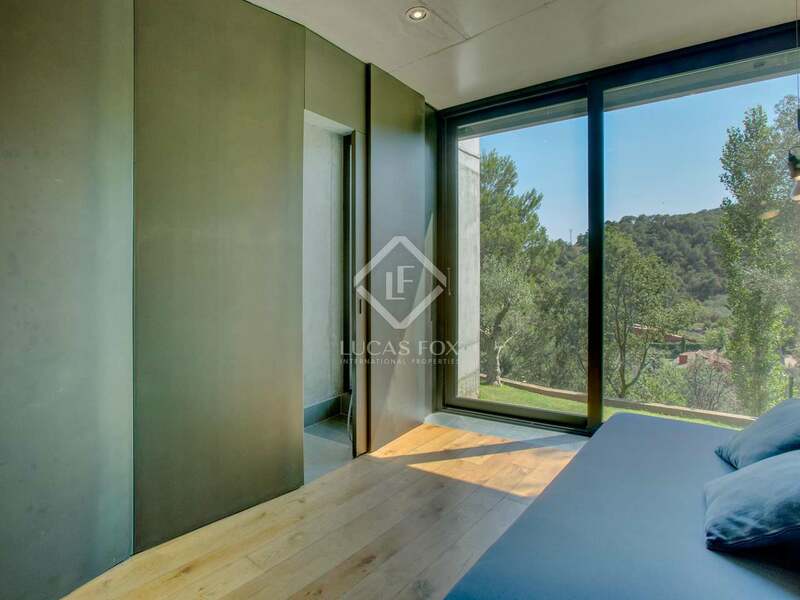 The master bedroom and en-suite bathroom is located on the first floor along with a mezzanine office area which overlooks the lounge. 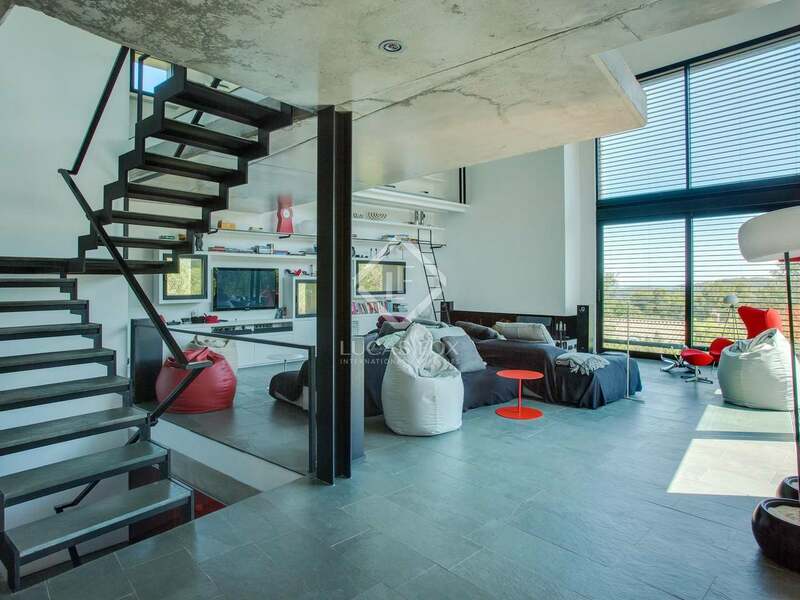 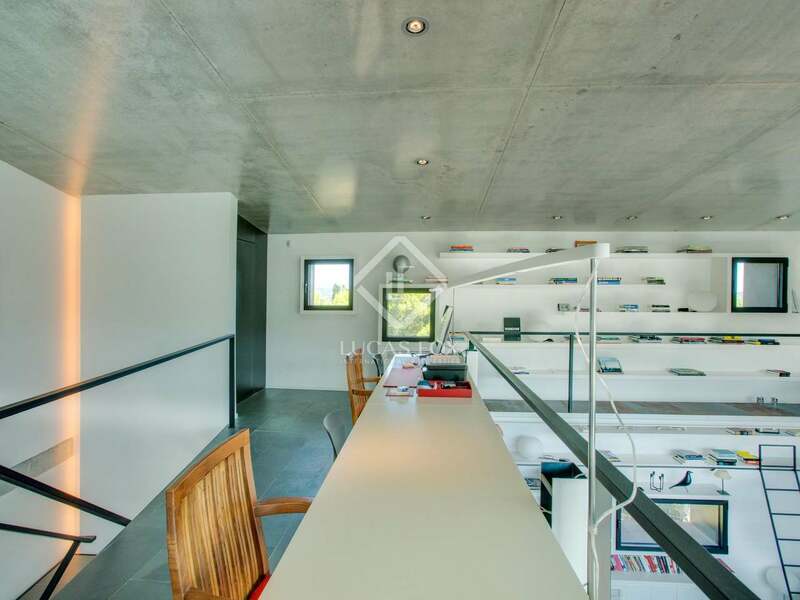 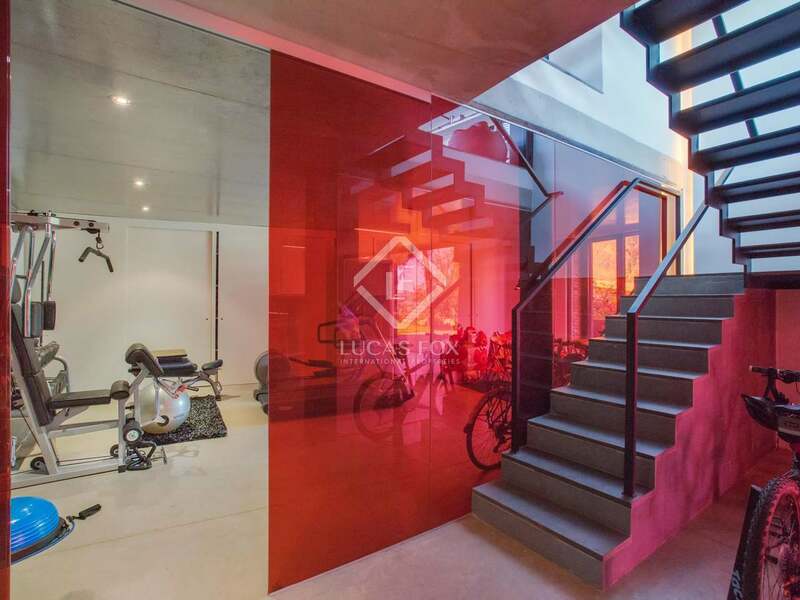 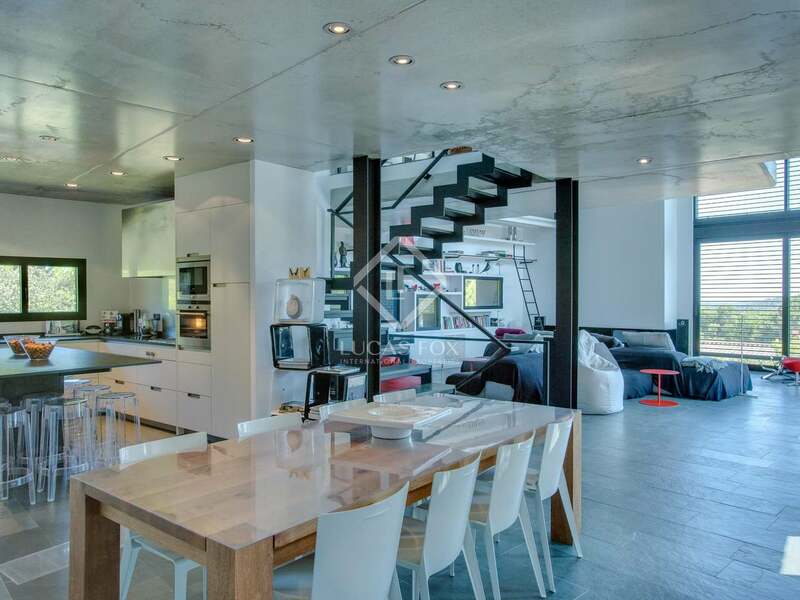 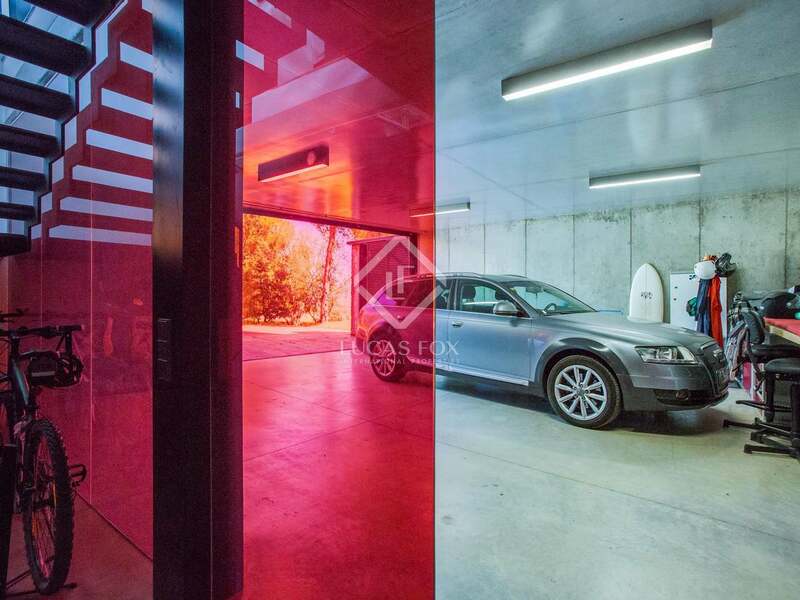 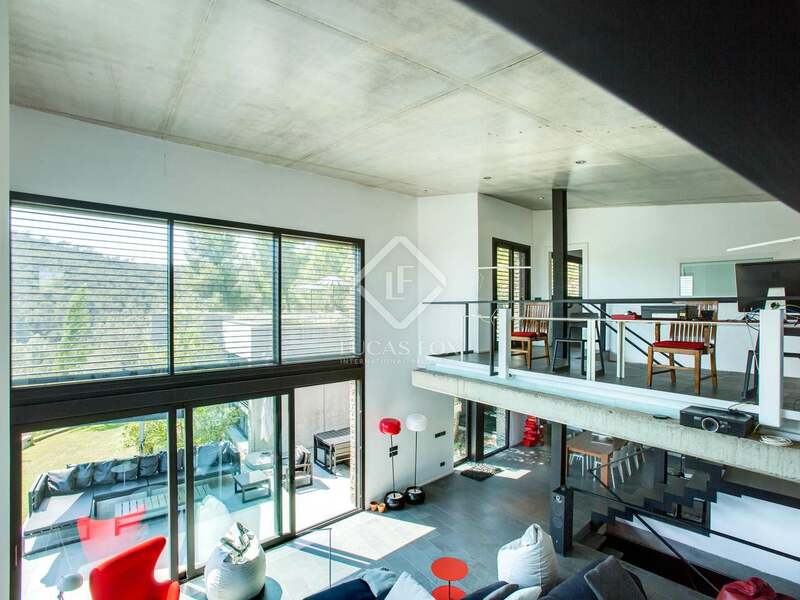 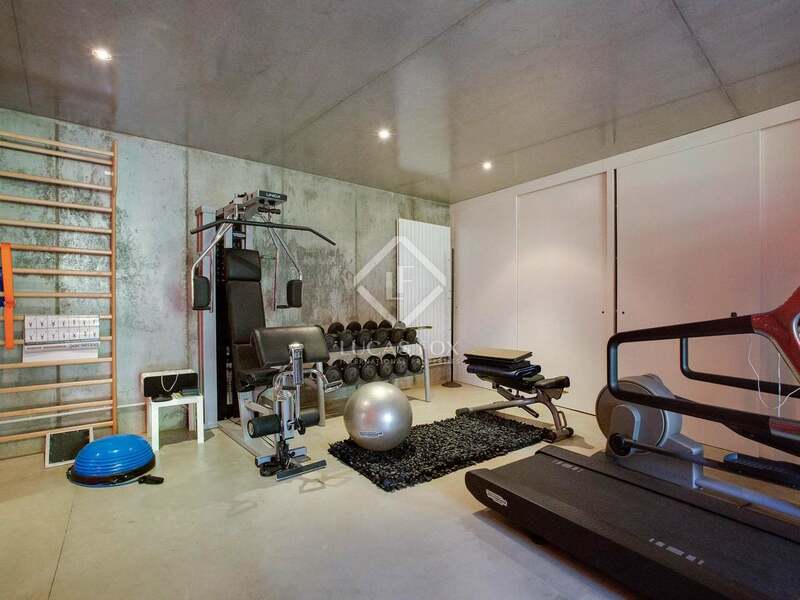 The lower ground floor houses the large garage and a very generous space that is ideal for use as a private gym. 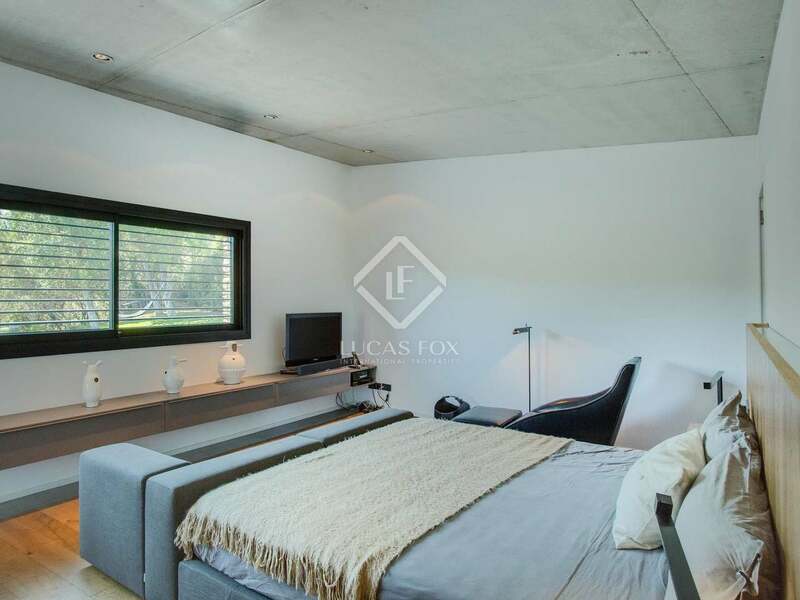 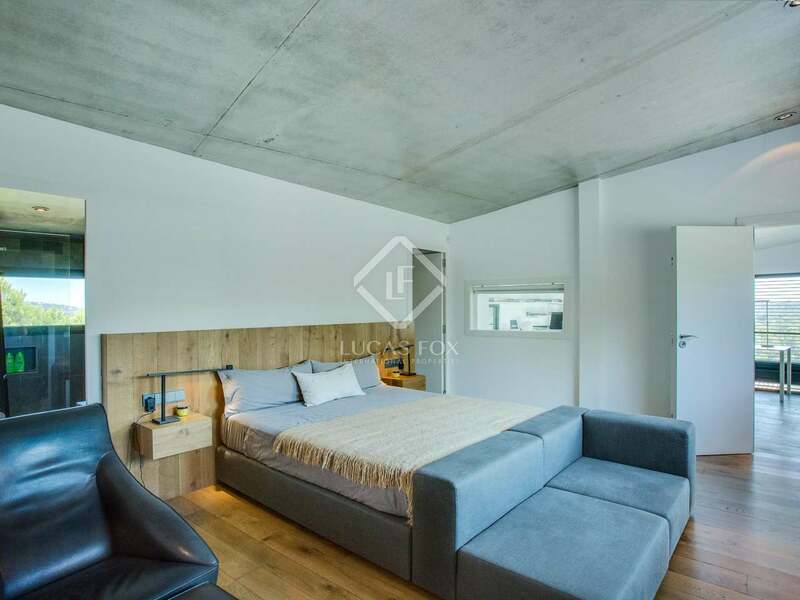 Additional features of this property include the heating, air conditioning, thermally insulated windows, utility area, alarm system and access to a communal padel tennis court. 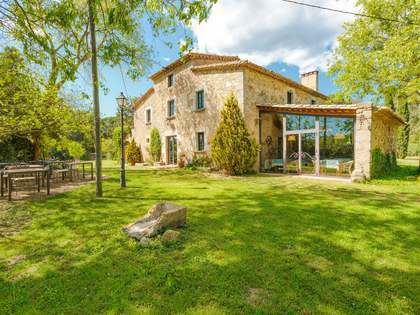 A fantastic primary or second residence for families with older children, couples or retirees. 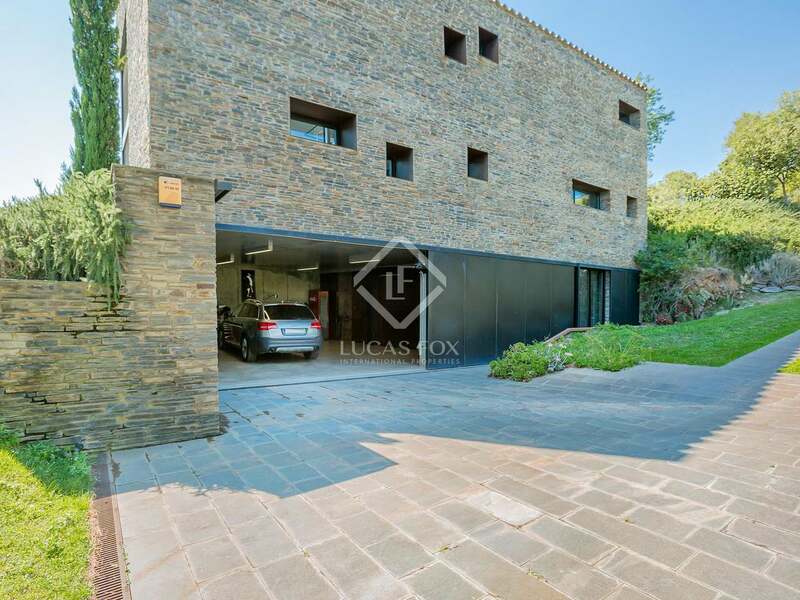 The property is located in an upscale residential neighbourhood, popular with both local and international buyers, in a peaceful location at the foot of the Gavarres natural park and just a few minutes from the shops, restaurants, and market of Palafrugell. It is just a few kilometres from Llafranc, Calella de Palafrugell and some of the best beaches of the Costa Brava.